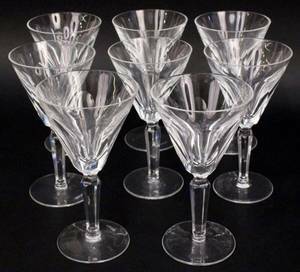 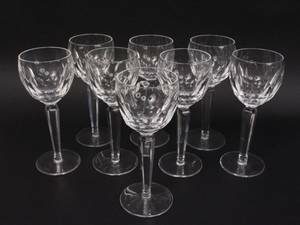 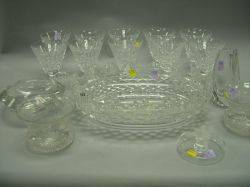 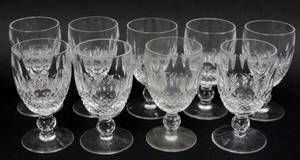 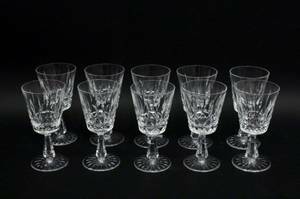 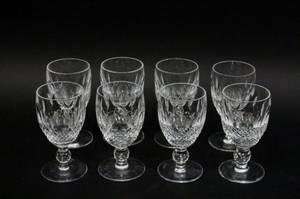 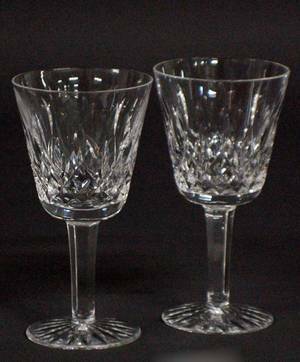 Set of ten Waterford crystal footed goblets or ice tea glasses in Rosslare pattern. 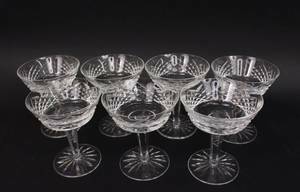 Three marked on circular foot "Waterford". 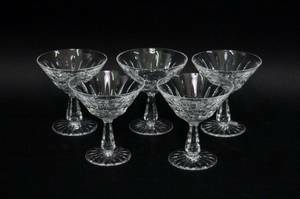 Height 6.75". 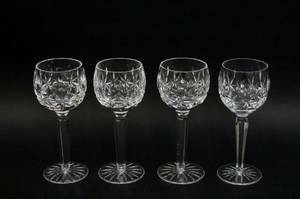 Diameter of top 3.4".